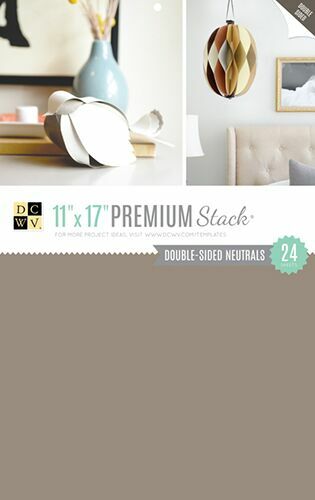 Can anything beat a double-sided solid cardstock stack? How about one that is larger than 12”x12”! This fabulous selection of neutral cardstock is perfect for creating your next oversized card, dessert table decorations, home décor items, and more!